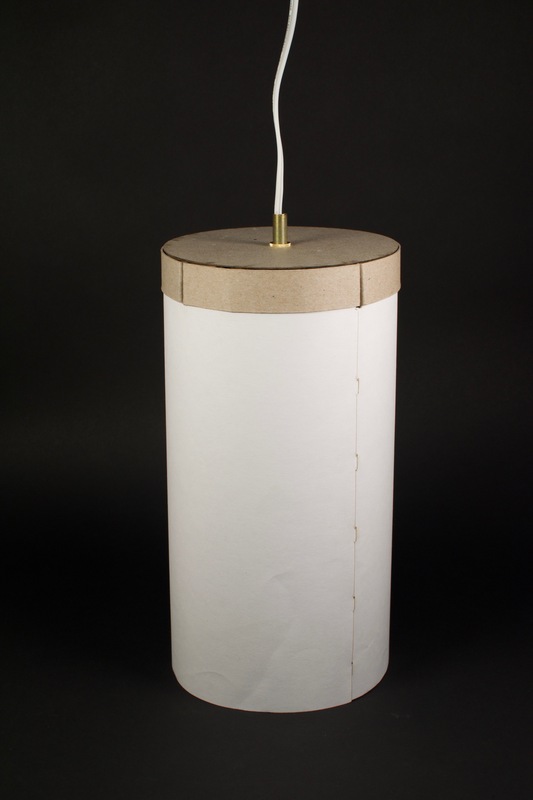 This is a lamp designed and fabricated for 24-672 DIY Design and Fabrication. 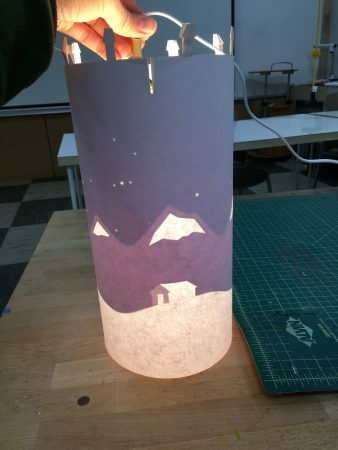 The project prompt was to create a lamp using paper based materials (cardboard, paper, chipboard, etc) with no glue or other binders. 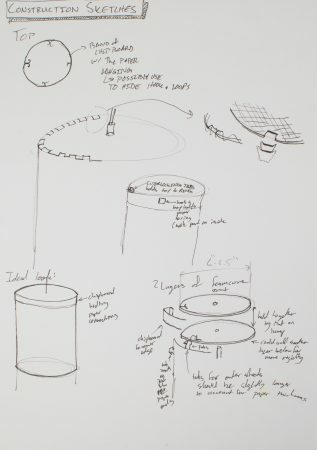 Early on in my design process, I also decided that I wanted to create a lamp that looked very plain when turned off, but revealed an additional pattern when turned on. My final lamp is a simple, cylindrical pendant light. 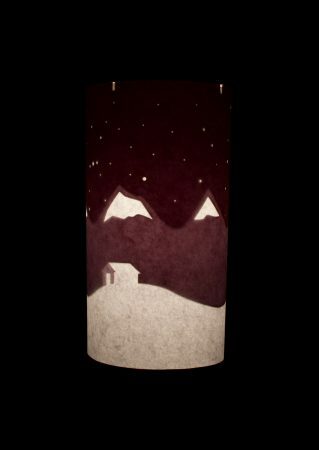 However, when it is turned on, a mountain scene is revealed. 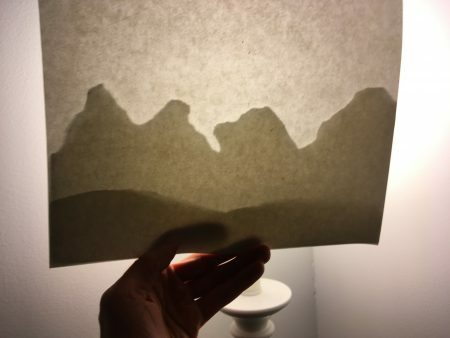 When the light is turned on, a mountain scene is revealed. 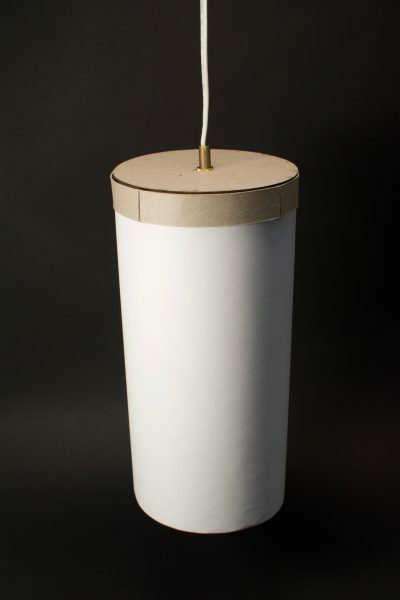 The lamp is held together without any glue or other binding methods. 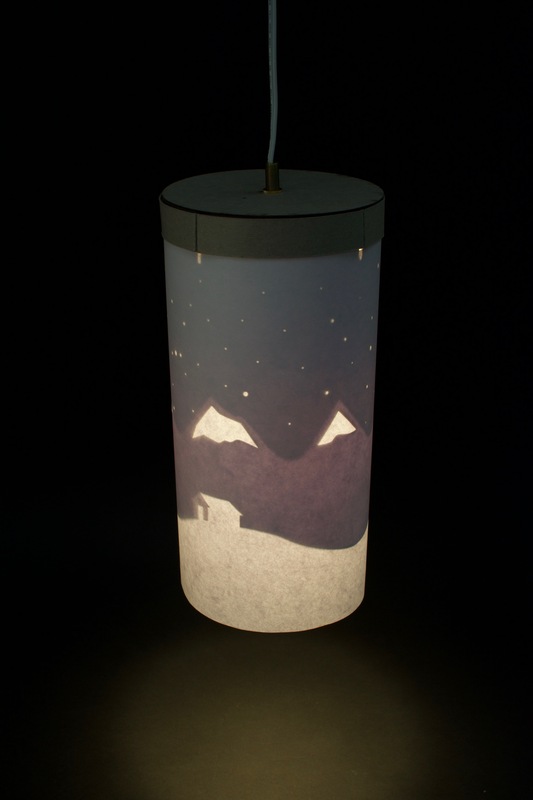 The design is created by layered paper on the inside of the lamp. 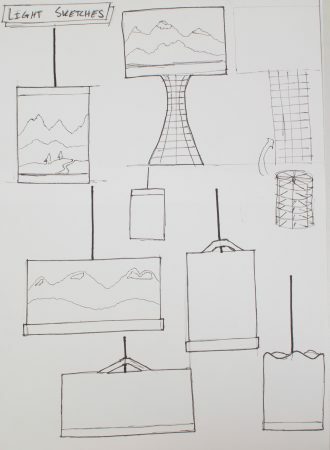 During the design process, I used this mood-board for the form of the lamp and the scene that is shown when the light is on. 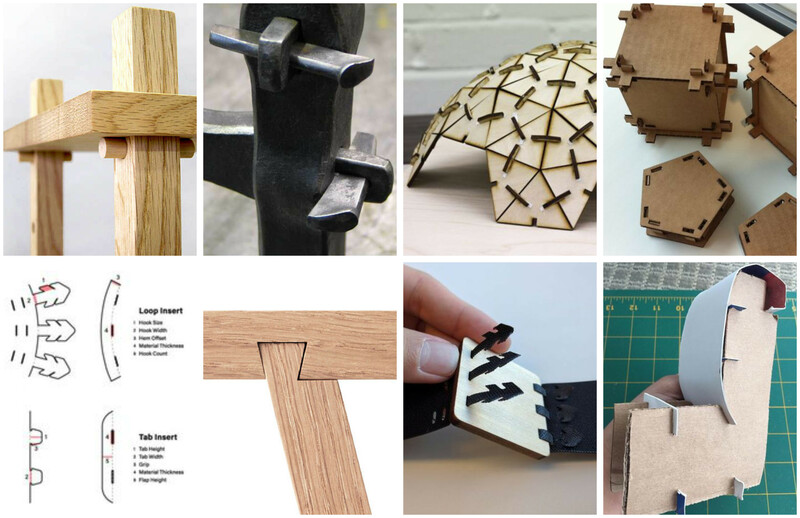 I also used a mood-board for the joinery holding the lamp together. 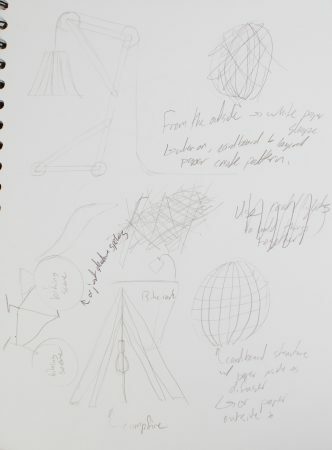 When the project began, I started by just sketching some random ideas. I quickly decided that I wanted to make a lamp where shadows create an interesting design, but the design space still felt too broad. 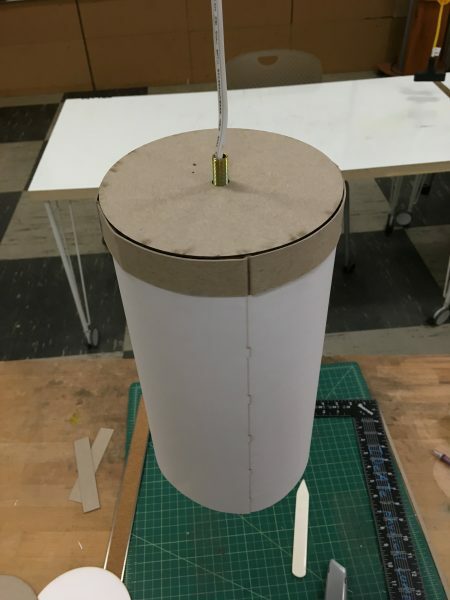 Because of this, I decided to make a lamp that looked very simple until it was turned on, at which point it would have an interesting design. 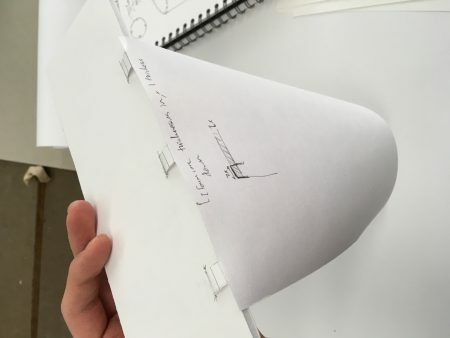 This constricted the design space enough that I could start working on specifics. 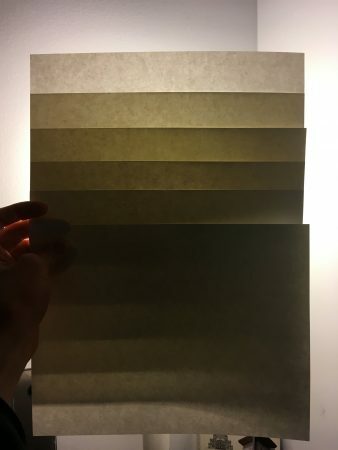 First, I validated that my idea for creating the shadows (layered paper) would be feasible. 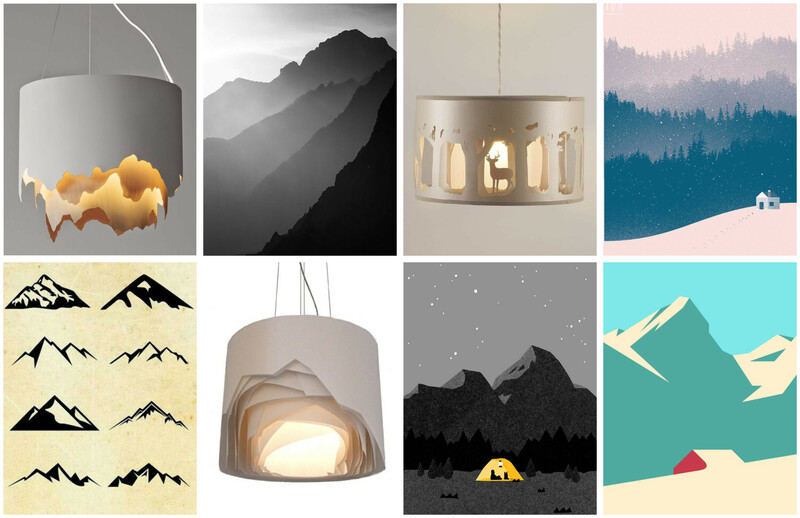 I then played with the lamp profile, as well as making a pendant lamp vs. a standing lamp. 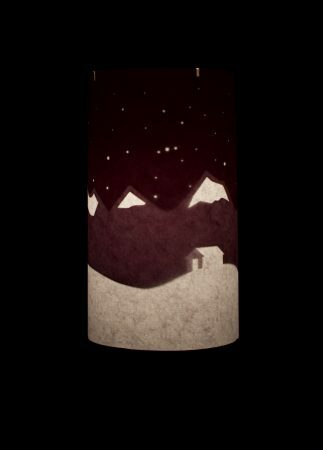 I also sketched different mountain scenes that could show up when the lamp is turned on. I quickly realized that this was just as, if not more, important than the form of the lamp. 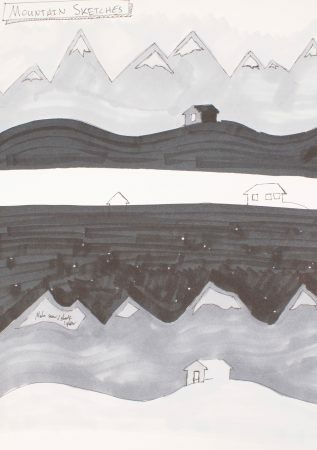 Through this process, I realized that I preferred the look of a dark sky and light ground, as opposed to the reverse. 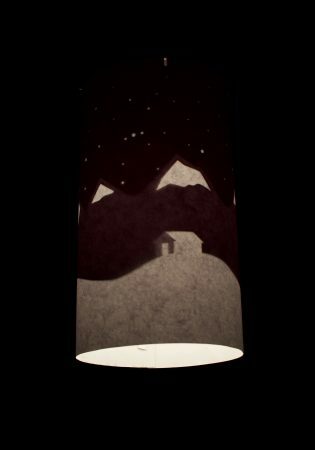 This is not what I initially planned, but having a night scene with a dark sky allowed me to hang the paper from the top of the lamp instead of supporting it from the bottom, greatly simplifying the construction of the lamp. 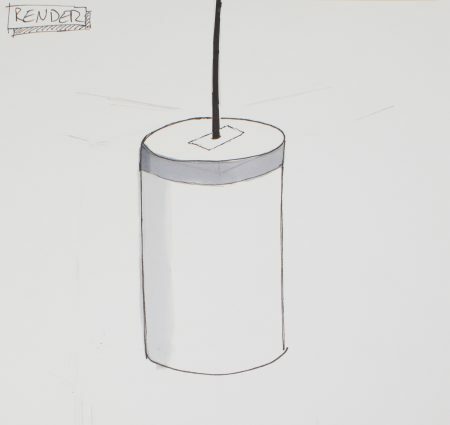 I next moved on to designing the construction of the lamp. 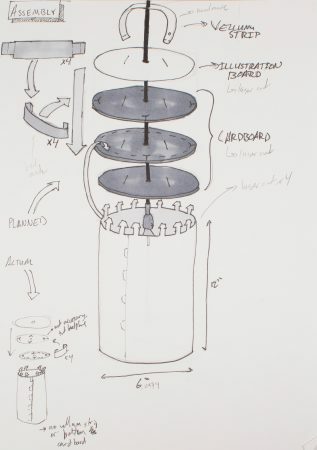 However, my initial design turned out to be overkill, and I ended up changing it during fabrication. The fabrication of the lamp was definitely the most time consuming part of the project. I performed a couple of tests to validate my method of hanging the shade. 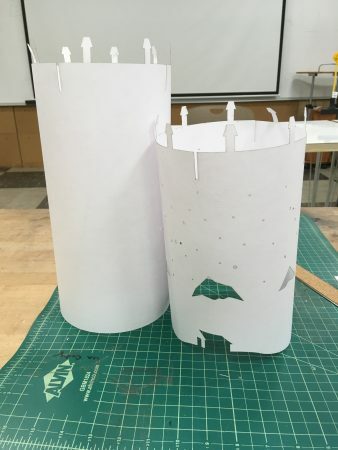 I then began to design the different parts of the lamp. 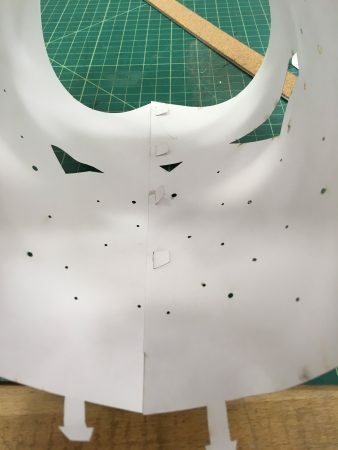 I split the parts into those that would be easiest to laser cut and others that would be easiest to hand fabricate (see assembly image above). 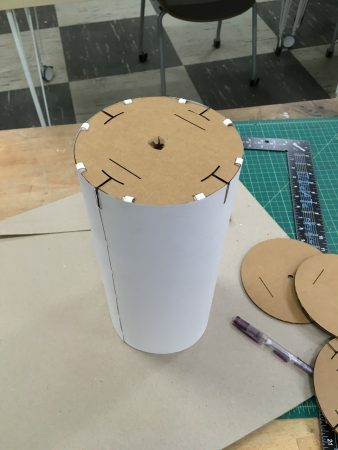 The lamp shade layers I designed in illustrator and the ridged discs of cardboard I designed in solidworks. 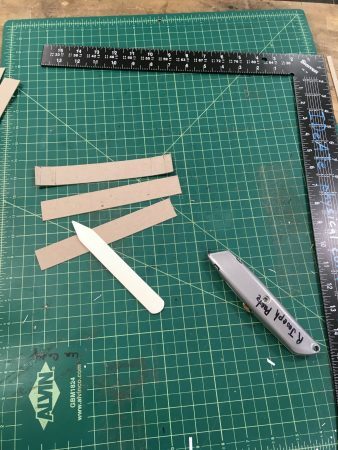 As expected, nothing fit perfectly during assembly, but I expected this and was able to manually adjust some of the joinery to get things to fit. 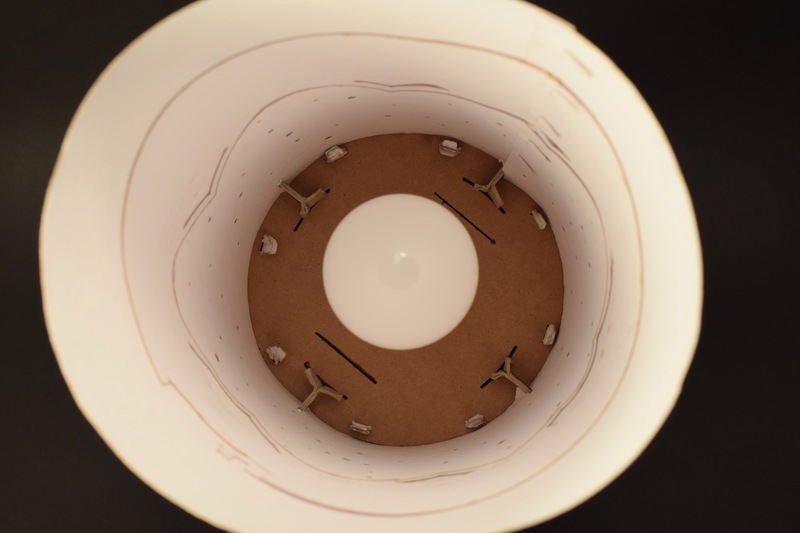 One final note: the nut from the light socket does hold the top layers of the lamp together tightly, but it is not structural as the lamp does not need it to stay together as seen below.